Emir Durrani ascends to throne in 1803 after a long war then in 1809 he made alliance w/ Britain for the Franco-Russian invasion of India which made his brother Shah Mahmud overthrow him off the thrown and exiled in Britain-India. Durrani attempt to assist Sikh emperor w/ Kooh-i-noor diamond but emperor accepted but ignored Durrani's plans and used time to bring Sikh empire together. Afterwards, he traveled to Ludhiana to be in protection of British crown and spent 23 years on unsuccessful schemes to reclaim his throne. 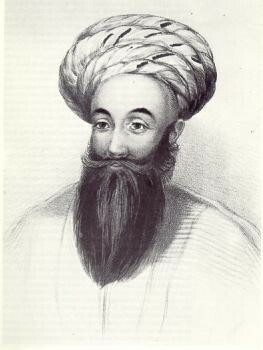 Finally in 1839 Durrani reclaimed his throne by the British crown but was assassinated when Britain withdrew from Kabul. 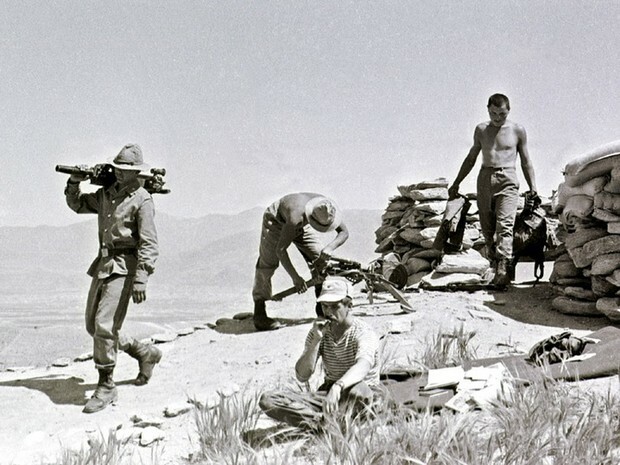 At first Britain and Soviet Union fought for control of Afghanistan until 1919 and Afghanistan declare themselves independent nation and began a monarchy government. In 1964, they failed at an attempt on a democratic system due to citizens show little interest and officials can't agree on a reform program. 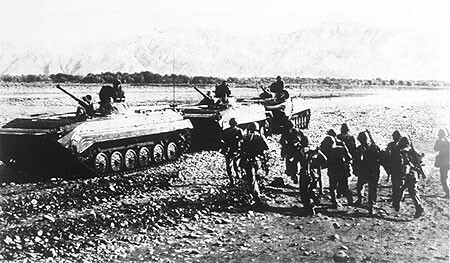 During Cold War, Afghanistan remained neutral but they received aid from both USA and USSR then Soviet Union took action to control Afghanistan. 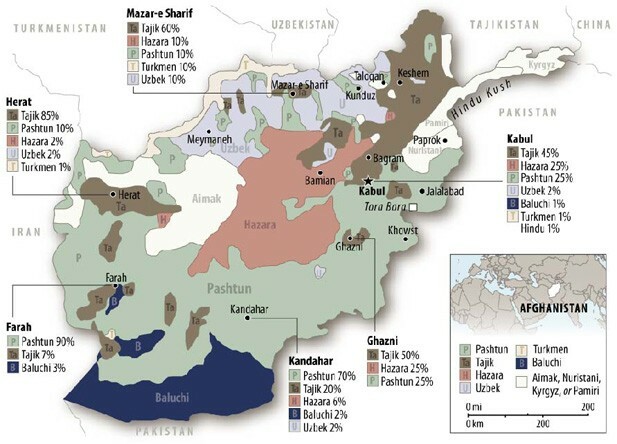 In 1973 Afghanistan government was overthrown and in 1978, a communist rival group w/ ties to USSR conquered the nation. In response, non-communist form the mujahideen as they believe communism went against the teachings of Islam then USSR troops were deployed in Afghanistan and added as a USSR satellite nation but despite that, mujahideen continued fighting w/ financial and military assistance from USA. Finally, 10 bloody years after that, USSR withdrew their troops and Afghanistan is once again an independent nation. 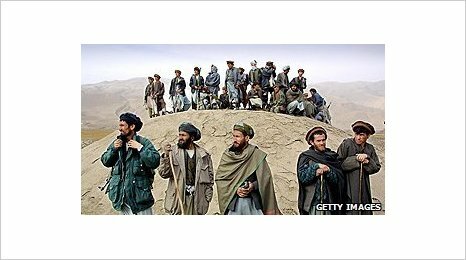 After USSR withdrew, a conservative Islamic group known as Taliban rose to power among the rebelling Afghan groups and controlled 90% of Afghanistan by 1998. Since then Afghan women live in a strict life as they can't go school or have jobs and movies, tv, and modern music is banned for everyone. Punishment for those who broke these rules range from beatings to execution. UN mostly worry about Taliban's role in terrorism like 9/11 attack and providing refuge for terrorist leaders like Osama bin Laden and Al Qaeda. USA military is teaching anti-Taliban how to fight and USA troops are expected to return in 2014. 2001 --- Al Qaeda attacks USA !!! 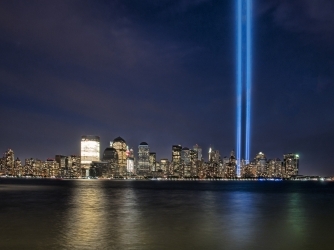 On September 11, Al Qaeda attack Twin Tower and Pentagon as they want to put USA in large economical debt then force the government to spend large sum of $ on military and make USA collapse due to economic failure. 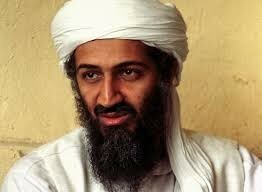 That day, Al Qaeda hijacked 4 civilian airplanes and take them to Pentagon and Twin Towers for kamikaze. Of 4 airplanes, 2 crashed and collapsed Twin Tower, 2 tallest identical tower in NY which is the World Trade Center that made USA rich and has immense amount of employees from around the world. The 3rd airplane crashed and collapsed 1 of 5 sections of Pentagon while the last airplane crashed landed in Pennsylvania as the civilians onboard try to overthrow the hijackers. This terrorist attack on USA not only killed thousands (maybe millions) of civilians but also put USA in major debt that is still a problem in USA to this day. 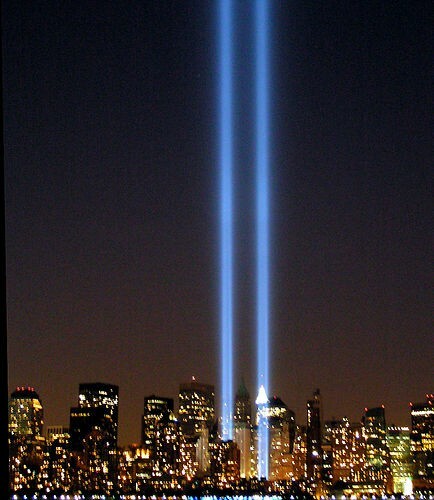 Twin Tower was severely damaged after crashes from hijacked planes. Beacon of light from South Pool of 9/11 Memorial where Twin Towers once stood. 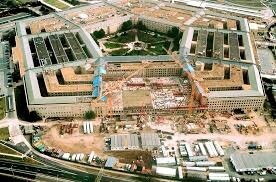 An area of Pentagon under construction after 9/11 attack from hijacked airplane. Oslo Peace Accords - Israel agree self-rule to Palestinians in Gaza Strip and West Bank if Palestinian agree end violence and recognize Israel. Kids learn about the history of the Soviet Afghanistan War during the Cold War. A hard fought war with no winner. Even as Afghan forces take the lead in providing security and NATO draws down its military presence, the Taliban continues to wage a resilient insurgency. Prospects appear dim for a negotiated settlement or the group's participation in electoral politics.